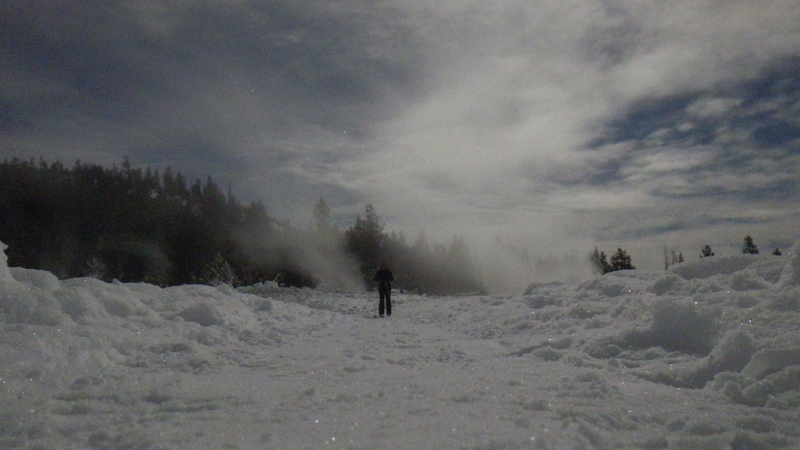 The next time you are in the mood for a true Winter Wonderland, travel to the majestic Yellowstone National Park. The park is almost completely shut down to visitors in the winter. The only way to travel inside the park is by “snowcoach” – a two hour journey through the snowy wilderness to an almost abandoned Old Faithful Snow Lodge and geyser. Winter Wonderland Perfection! 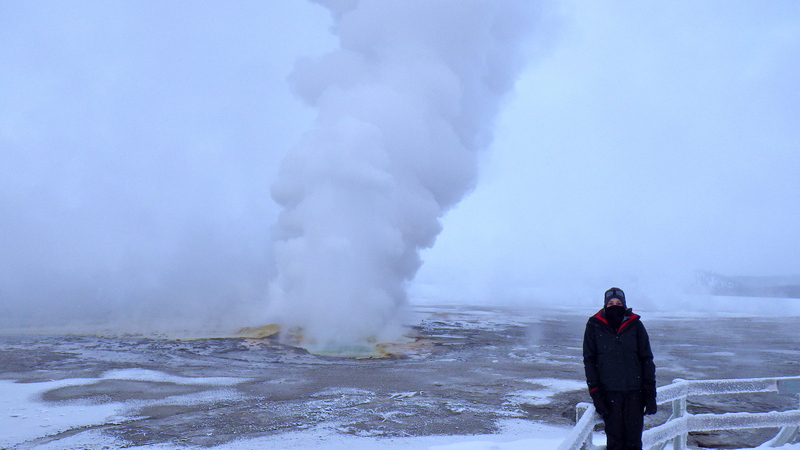 Our very own private Old Faithful eruption – no crowds! 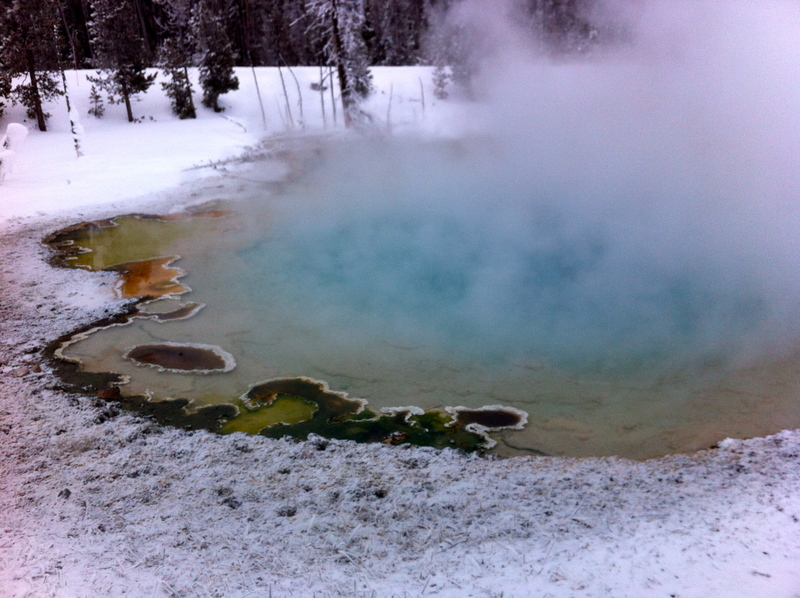 The snowcoach tour includes stops to many geysers and hot springs. Sooooo cold but oh so amazing! 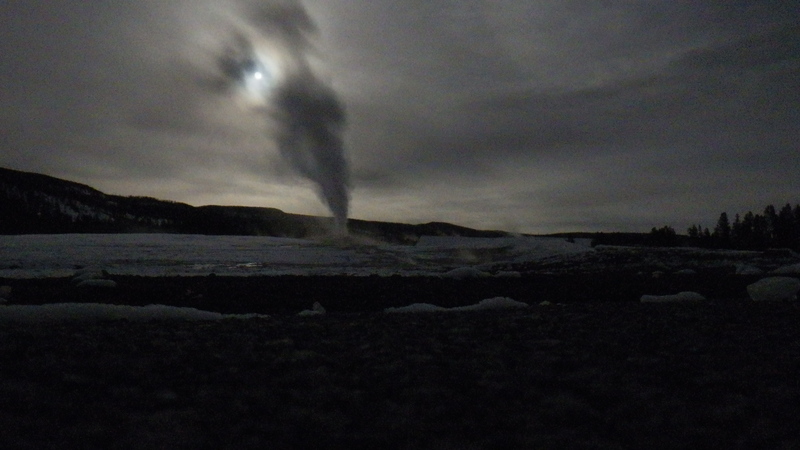 What could be better than a moonlit cross country ski session around Old Faithful? 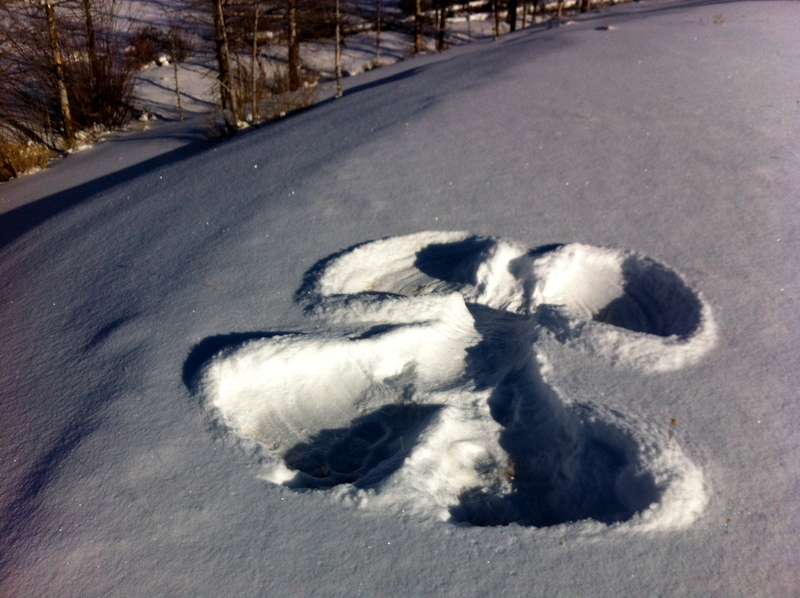 Or making snow angels in fresh snow? 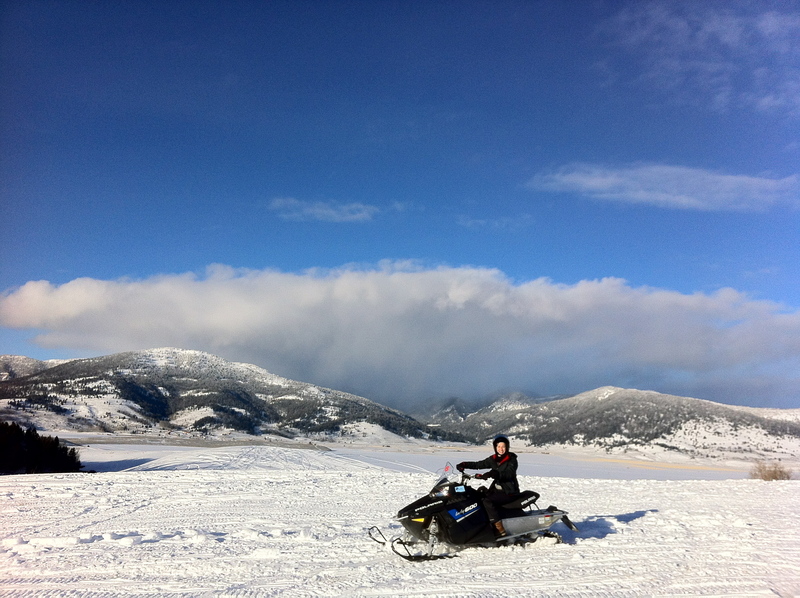 Or racing snowmobiles around the park? 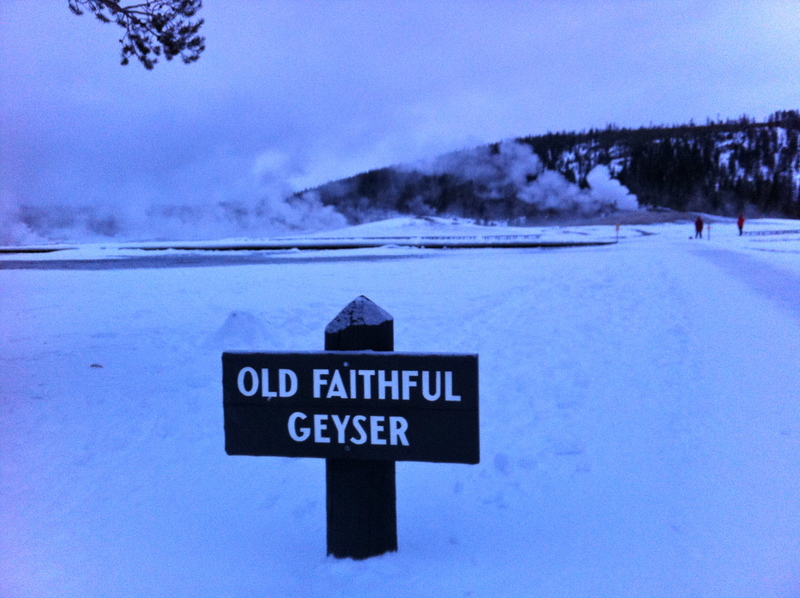 Click here for more information on Yellowstone, and book your winter getaway before the snow melts! !